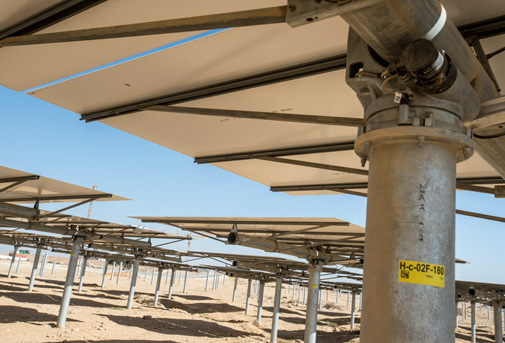 The Ashalim project is the flagship project for renewable energy, and it is Israel´s most complex project in that field. Amot Mida is responsible for the drilling work and for erecting the pylons to hold the site´s mirrors, which will receive the sunlight. 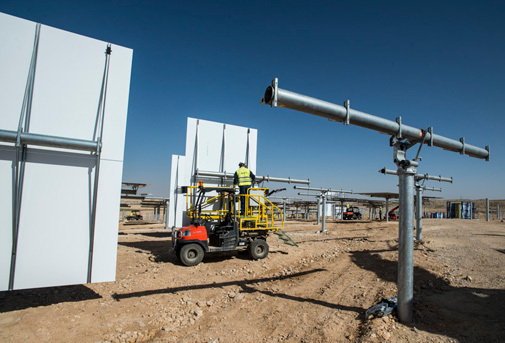 The pylons, using unique technology created at Amot Mida, will be positioned with maximum precision, a precision that factors critically into the efficiency of the solar mirrors. The solar farm under construction will produce electricity thermally. 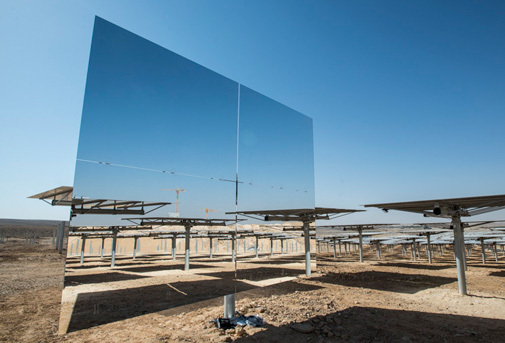 More than 50 thousand mirrors will track the sun´s movement and beam its warmth into a heating tank 240 meters high, which will produce steam of 600 degrees Celsius. The steam will power an electric generator. The project´s founding company, Alstom, is known as one of the world´s largest companies in renewable energy. 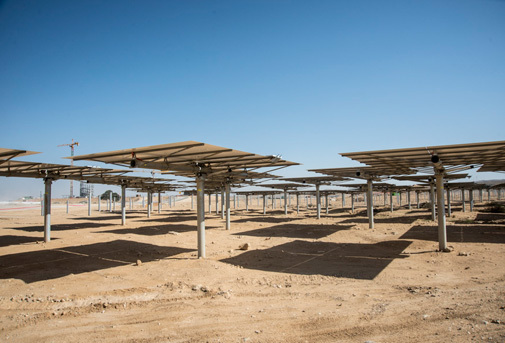 The prime contractor on the project, and the one Amot Mida works with, is Brightsource Energy. The station is expected to be connected to the national power grid in 2017. Location: Near Moshav Ashalim, in the southern Negev. Scale: 140 megawatts. 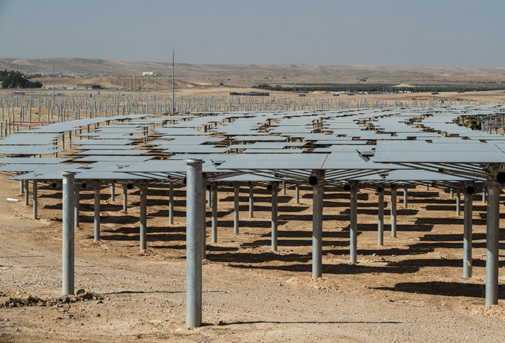 The Halutziot solar farm produces electricity by means of photovoltaic cells that track the sun's movement.